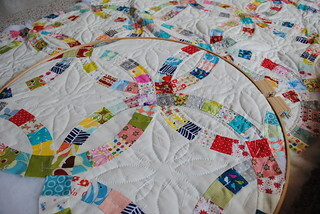 The hand-quilting is slow in progress. It has taken more time than I expected! I need to have this quilt completed by the weekend. I am afraid I might need some good coffee and movies for next few days.